The City of San Diego, CA is abandoning, for now, the planned sale of its big 3,000 ton-per-day Miramar Landfill. The move comes after three companies -- Allied Waste Services, Texas Disposal Systems and Waste Management -- withdrew from the bidding process, citing concerns over future environmental liability and ambiguity about military ownership of the land. The landfill is named for the famous military base on which it resides, remember 'Top Gun'? The city began operating the landfill in 1959 when it signed a $500-per-year lease deal with the US Navy, which owns the property. The lease, which extends through 2045, changed several times over the years, notably expanding the site from 450 acres to its existing 1,400-acre footprint. 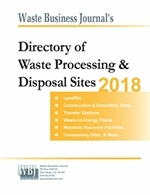 The landfill currently only has room for another 19 million tons of waste, which at current disposal rates of 988,000 tons of solid waste and 348,000 tons of organics added annually, puts the projected closure date only 11 years off in 2022. However, it is more likely that the deal was doomed by the complicated ownership structure of the landfill site and the city's insistence that the purchaser assume all potential environmental liabilities, including closure costs. Bob Gregory, CEO of Texas Disposal Systems, said he was "unable to come to a comfort level" because of the environment liability and questions over what role the military would play. 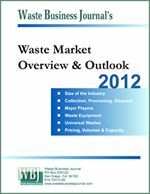 Similarly, Allied Waste said it would prefer an operational agreement rather than a purchase.